The SCX Noise Limiter has been designed by installers to overcome the drawbacks of other products. The contactor unit, which is housed in a separate case can be fitted at a convenient location out of sight to simplify mains wiring. The control unit, with high visibility level indicator and sound pickup microphone, is connected to the contactor using low voltage cable for ease of installation. 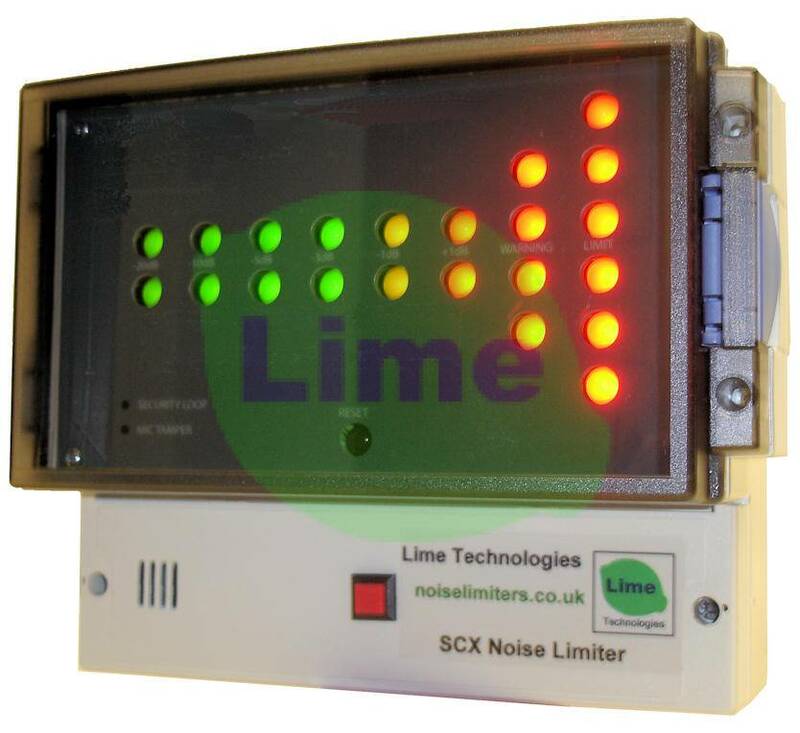 Simple to fit and operate, the SCX noise limiter incorporates the latest features and is local authority approved. With fully automatic operation, 32 Amp switching capability and door switch / fire alarm connection this noise limiting device offers straightforward installation and adjustment at a low price. The sound in the venue is monitored by the built-in microphone and the level is clearly indicated on the display unit. If your pre-selected maximum level is exceeded the warning LEDs light. If the sound remains too loud for a period of approximately 20 seconds mains power is disconnected from the sound equipment for 20 seconds and then automatically reconnected; thus no user intervention is required for operation. The trigger level is adjustable and may be switched to full range or bass frequency response. The trigger time delay can be altered if required.